Although there are times when browsing Pinterest simultaneously baffles and impresses me, about a month ago I came across the following image and it jumped out at me so much that I stopped and stared at it for a good 10 minutes. I apologize to the original source, but of course I didn't repin this at the time and now when I search for it online I find it pretty much everywhere. It was like someone reached right into my brain, slapped it around a little bit, and said, Here. LOOK AT THIS. THIS IS FOR YOU. I've long come to accept that, when left to my own devices, my willpower just doesn't stand up to all of the temptations that arise. Let's face it, I work from home approximately 15 feet from my refrigerator, so it doesn't take much for me to find myself digging around in there (as well as the cupboards) until I find something to snack on. Unfortunately, all of my giving up has led me to a place where I'm unhappy with the reflection in the mirror. I look at her and all I see are the extra pounds spilling over from pretty much everywhere. How did she let herself go like this? This time, as I start over, it is going to be the last time. No more giving up, no more getting back to feeling this way. One week ago, on March 1st, I embarked on a new journey that I am confident will not only succeed but will succeed for good. 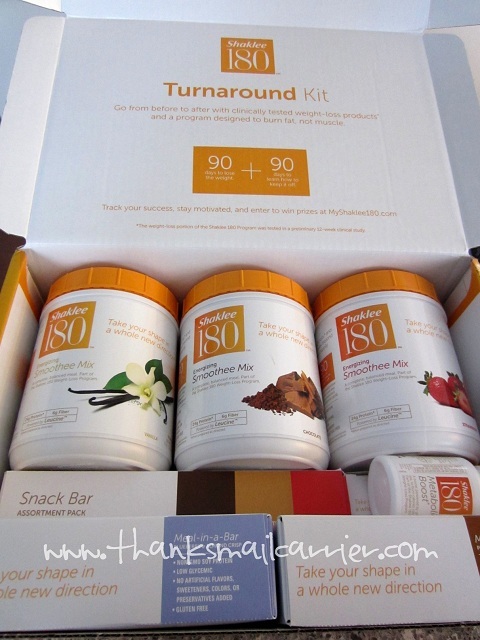 Being notified that I was selected to join the Shaklee 180™ blogger program couldn't have come at a better time. My disgust with myself was at an all-time high (as were the numbers on the scale) along with my feelings of despair and hopelessness. How could I even begin this uphill climb on my own if I didn't believe it was possible? However, after following along with the Shaklee Cinch bloggers in 2012, I had seen just how successful the program had been for many of them. The pounds gone! The inches lost! If these bloggers using Shaklee could experience such incredible results in 6 months, then I was motivated to bring on the Shaklee 180™ and turn my Before into an After. 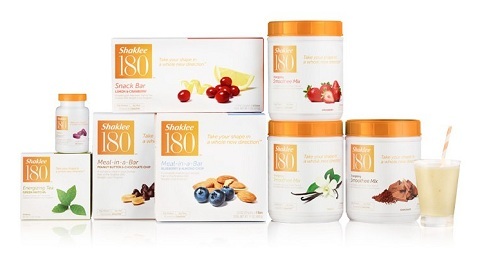 Including things like Energizing Tea, Smoothee Mix, and Meal and Snack Bars, Shaklee 180™ is not only a meal replacement program, it is clinically tested, breakthrough approach to weight loss. These products are not only designed to boost my metabolism, they are also going to help retain muscle and remove belly fat at the same time. Think it all sounds a little far-fetched? To be perfectly honest, there was a small part of me that did, too. Not necessarily about the specifics behind the products, but about being able to truly follow the plan. I was going to replace breakfast and lunch with Smoothees and Meal Bars, add in a Snack Bar and some Tea and not be completely starving all day long? And let's not forget about the taste, right? Shake powders are often chalky and kind of... well, unappealing. 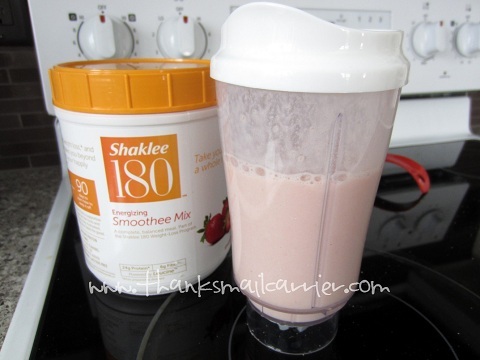 Shaklee 180™ Day 1 began with a simple Strawberry Smoothee and I haven't looked back since. No exaggerations or stretching of the truth here, I love this program. Using the Vanilla, Chocolate and Strawberry Smoothee Mixes, skim milk, ice and a variety of mix-ins, I've tried all sorts of recipes and have loved every single one. Strawberry banana, mixed berry, blueberry, double chocolate, pina colada... I'm telling you, if you're a fan of a rich, luscious shake, these Smoothees will hit the spot. I go to bed each night excited about waking up to another one in the morning! If you are a shake or smoothee drinker, I highly recommend the Hamilton Beach Single-Serve Blender, it is fantastic for making shakes or smoothies for one! In the upcoming months, you'll hear more about my Smoothee creations as well as the Meal Bars, Snack Bars and more. Am I starving? Not in the least. Am I having to cut out everything that tastes good in my life? Not at all. Am I actually losing weight? Five pounds gone after one week of eating things that taste like desserts during the day and then paying attention to eating a sensible dinner? Count me in. I love my smoothies for after working out and the occasional breakfast. That quote is so true. 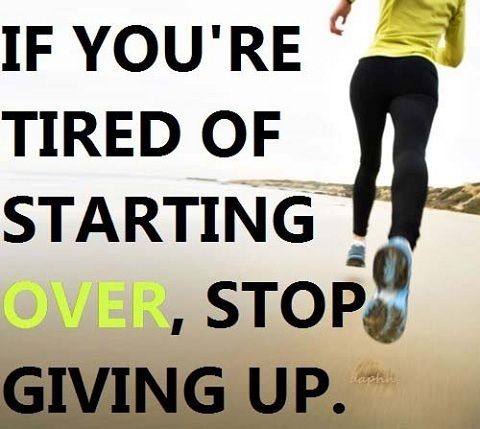 This time I am doing it for life and never giving up again. Good luck mama you can do it! Way to keep with the program! 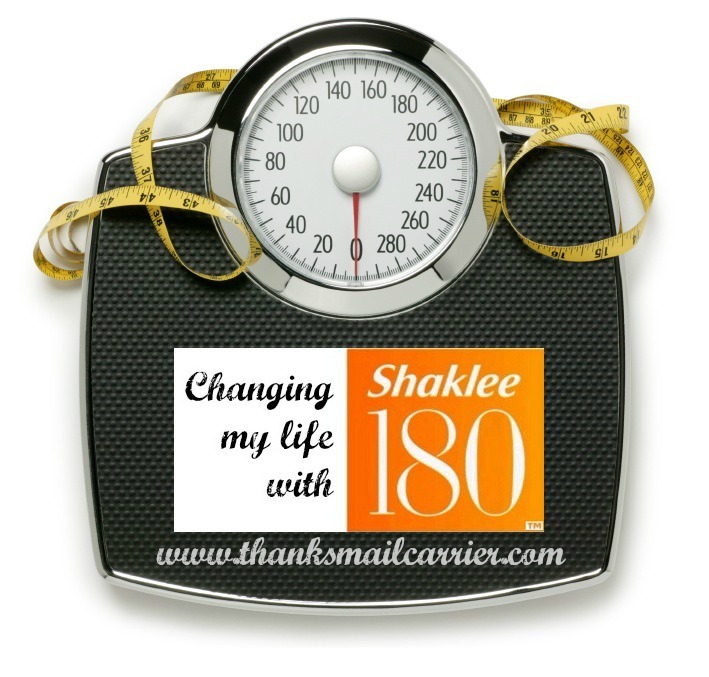 Had never heard of Shakelee 180 before but it sounds like a great program with great products. 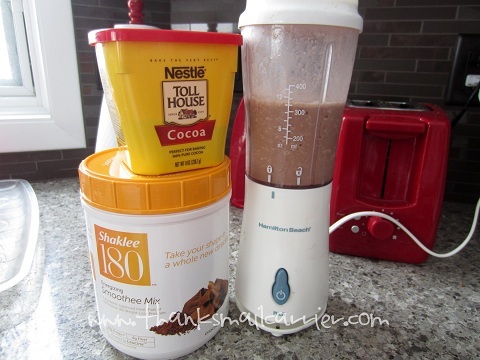 I LOVE smoothies and would gladly consume this as a part of my weight loss program. I've heard really great things about the Shaklee program. It seems to be a great program. Congrats on your progress! The smoothies look good (I'm glad there's different flavors) and I would enjoy them as meal replacements, along with the tea and the meal bars. Thanks for describing the program and how you're doing. Keep up the enthusiasm! You're a great inspiration! Congrats on the 5 pounds in a week! I'd be interested to see your progress as you continue with the program. I'm not in a position to be losing weight right now, but will be looking for a baby weight solution in about 7 months. Yay good luck on your journey I can't wait to hear about your great progress! You are making a step in the right direction! Way to go!